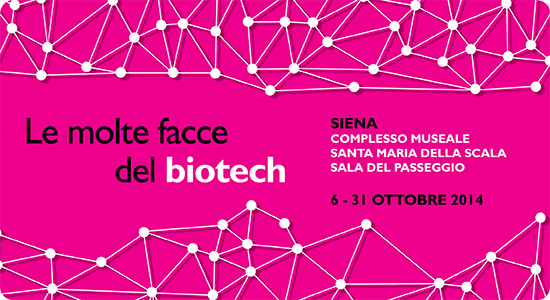 The exhibition “The many faces of biotech” is housed in the amazing museum complex of Santa Maria della Scala, constructed along the Via Francigena and one of the first hospitals in Europe, from 6 to 31 October. The exhibition, promoted by Fondazione Toscana Life Sciences and by Siena città candidata a Capitale Europea della Cultura 2019, in collaboration with Università di Siena, Comune di Siena, Fondazione Achille Sclavo, Sclavo Vaccines Association, Novartis Vaccines and VisMederi – which is also a sponsor – is organized in the context of the second edition of European Biotech Week, with Assobiotech as its Italian partner. Smiles, looks, expressions. The warmth of a face to communicate the “human” and emotional side of science, of those who work everyday in the laboratories of companies and research groups of Fondazione Toscana Life Sciences, as VisMederi, Università di Siena and Novartis Vaccines. Beside these portraits – realized by Mauro Agnesoni and Samuele Mancini – on display there are also some everyday products, which are the outcome of biotechnology research. “The many faces of biotech” show indeed the many fields of application of biotechnology. The explanatory texts are also accessible through videos, available both within the exhibition and on the Youtube channel of the promoters. High school students – final year classes of ITT and of Liceo Biologico “Monna Agnese” and of Istituto Tecnico Industriale “Tito Sarrocchi” – will explain, as experienced science communicators, some aspects of research, production and use of biotechnology.